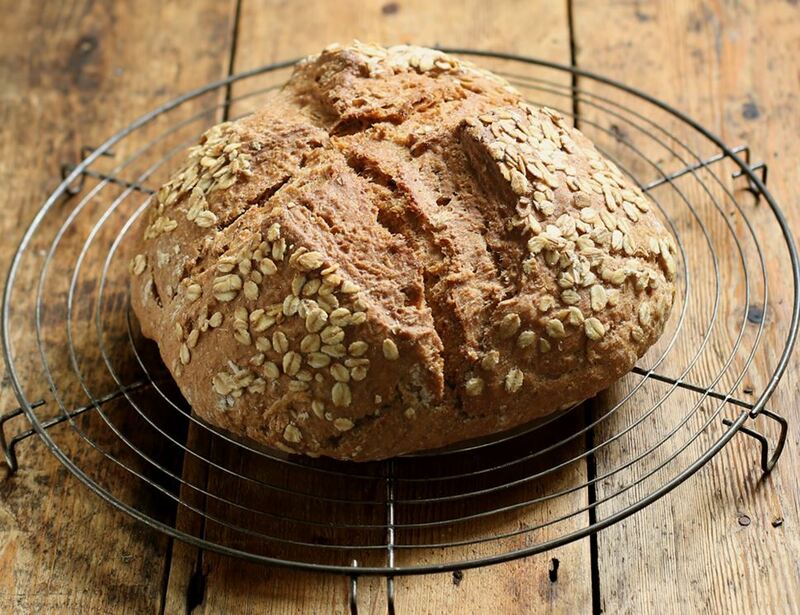 Everyone needs this filling organic wholemeal soda bread in their life. With a fine texture from the oats and a hint of sweetness from the twist of treacle, this loaf can swing either towards the savoury or the sweet. Partner it with your next bowl of soup or spread some strawberry jam over a slice for a wholesome brekkie. Wholemeal wheat flour*, wheat flour (wheat flour*, calcium carbonate, iron, niacin, thiamin), Sunflower Oil*, Jumbo oats*(4.7%), Treacle*(1.3%), Cream of Tartar, Sea Salt, Bicarbonate Of Soda.